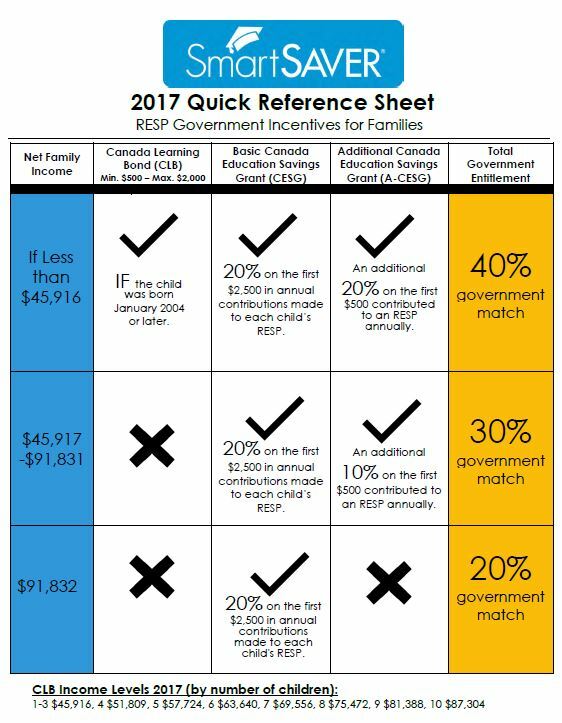 This simple action map identifies both parts of RESP enrollment: getting Social Insurance Numbers and starting an RESP account. 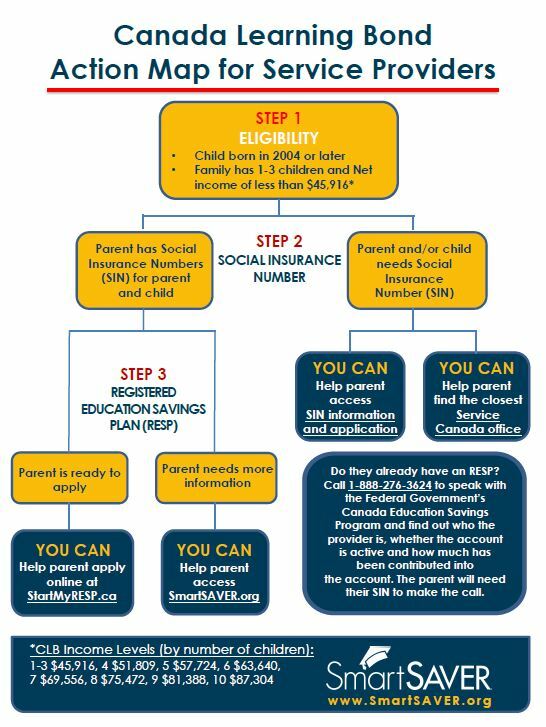 Not sure how much a family may be eligible to receive from the Government? Use this quick reference tool to review the incentive levels by income. Looking for more information? Read our resource: Top questions parents ask about SmarSAVER, RESPs, and the Canada Learning Bond.